From desktop computers and laptops to tablets and smartphones, equipping your business with all the devices you need to thrive in the digital era can be expensive. It's also difficult to manage a fleet of company-owned devices – most of which require regular updates and often become redundant when the next model is released. Some technology companies are easing this pain point by providing, managing and updating the devices your business needs on a device-as-a-service (DaaS) model. You simply pay a subscription fee and your tech supplier will take care of the provision and management of the devices you need. What are the benefits of DaaS? The DaaS model takes the burden of device management off your in-house IT team. This will free them up to focus on other tasks that may contribute more directly to developing your business and boosting your revenue. DaaS can also ease your technology expenses by consolidating your current devices and only deploying new devices that have a direct business benefit. It also allows you to switch your technology spend from a capital expenditure to an operating expense and makes it easier and more cost effective to scale up or down as your business environment demands. Cybercrime is becoming a greater concern for all businesses that operate in the digital space, and IT teams are putting more time and resources into data protection and cybersecurity. The good news is that the DaaS model can help ease your security burden. Most DaaS providers constantly monitor device usage to ensure it is in line with their security policies. They can also often restrict downloads to approved apps to limit the risk of hacking and can even put in place a data access permission structure that will limit who in your organisation can access certain data, and how they can share it. Will DaaS replace the bring-your-own-device (BYOD) model? The BYOD model essentially allows employees to use their own smartphones, tablets and laptops at work. However, it comes with some significant disadvantages when compared to DaaS. For example, removing sensitive company data from employee-owned devices can be problematic when an employee leaves. With the DaaS model however, your employees don't own the device and therefore must hand it in when they leave the company. 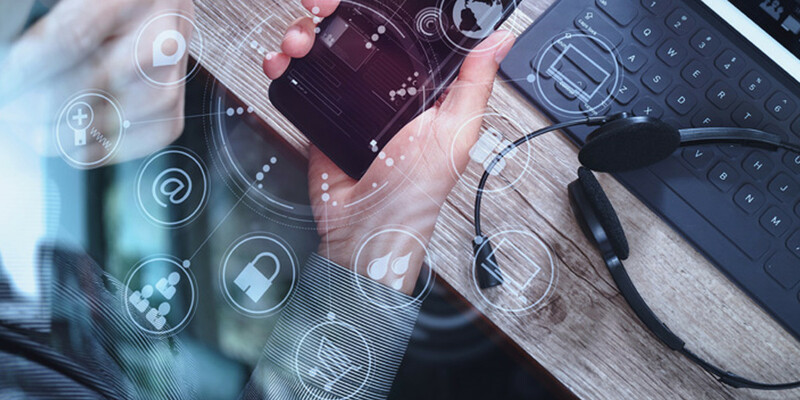 With BYOD, you also have less control over employee-owned devices and installing firewalls and antivirus software is often left up to the employee. Talk to an Acquire DaaS Expert to discuss the right fit for your business.